Dr. Bradford W. Parkinson is said to have changed the history of navigation. As a U.S. Air Force colonel, he led the definition, development and testing of the Global Positioning System. This satellite-based system with both military and civilian applications has proven a breakthrough technology for precise navigation and location of transportation vehicles. 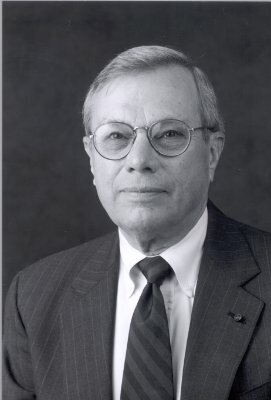 As creator and head of the NavStar GPS Joint Program Office from 1972 to 1978, he brought together the often divergent scientists and strategists of the military, other government agencies, private businesses and academic institutions that all proved to be essential to the development of GPS. After leaving a 21-year career with the Air Force, he served as vice president at both Rockwell International and Intermetrics, and as president of PlantStar, a wholly owned subsidiary of Intermetrics. Since 1984, he has been a professor of aeronautics and astronautics at Stanford University in California, where his students pioneered the use of Differential GPS for completely blind airplane landings, automatic tractor steering, automatic space vehicle guidance and more. Dr. Parkinson is a Fellow of the American Institute of Aeronautics and Astronautics, the Institute of Navigation and the Royal Institute of Navigation. He also chaired the NASA Advisory Council for over six years. He was elected to the U.S. National Academy of Engineering in 1990. His numerous awards include the ION Thurlow, Burka and Kepler Awards; IEEE Pioneer and Kirchner Awards; the Royal Institute of Navigation Gold Medal; the 2018 IEEE Medal of Honor; and he has been inducted into the NASA Hall of Fame. This page was last edited on 23 April 2018, at 14:40.